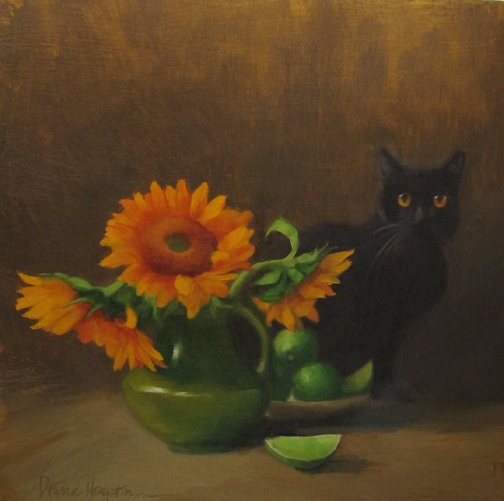 Sam and the Sunflowers Oil on panel, 8" x 8," $330. love, Love, LOVE everything about this one! The orange eyes and flowers... the green limes and leaves and vase... the background... the cat's attitude! Good one! That's a mean green! Makes my mouth water. Love it!